Gable end conservatories combine British grandeur with an intelligently designed vertical roof to maximise comfort and space. The gable conservatory – which is sometimes referred to as a gable end conservatory – is a stunningly designed structure that comes with a high-pitched front elevation roof and a square or rectangular floor space. It’s a perfect choice if you want to make the most of your available space by allowing ample amounts of natural sun light and fresh air to enter. When it comes to creating a sense of grandeur, nothing compares to the stately elegance of the Gable conservatory. With its impressive structure and period charm, it’s the perfect addition to any Leeds property – whether its new build or heritage. Your home will stand out and its market value will increase because of your new gable conservatory. There are a variety of options you could consider when selecting a new gable end conservatory in Leeds. This includes building work, glazing options, colour choices and roof decisions. Whatever your home improvement aspirations might be, the Select Products team will work with you turn your dream into a reality by designing your dream conservatory. Each gable conservatory Select Products installs is lovingly tailor-made to meet your specific requirements. 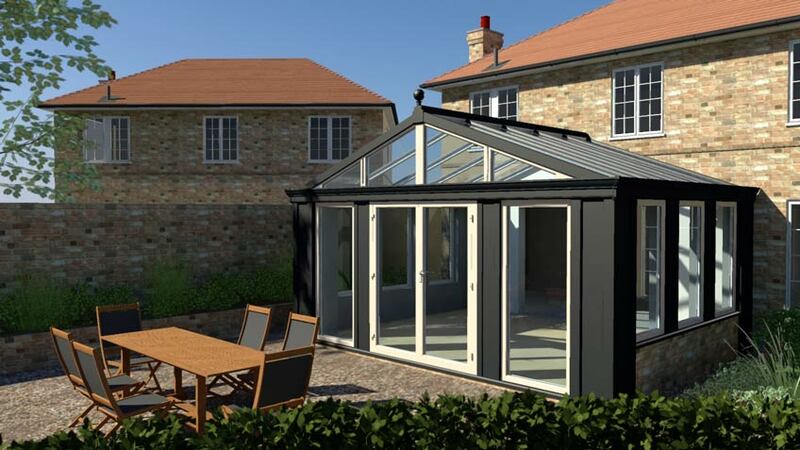 Supplied by Ultraframe you can choose from glass or polycarbonate roofs or even upgrade to a solid roof for complete energy efficiency and weather protection. 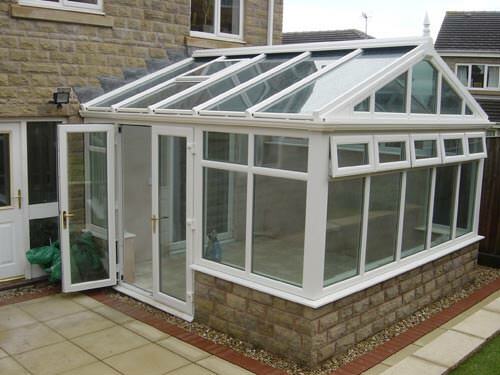 Ultraframe’s solid conservatory roof systems can also incorporate glass. Take a closer look at their LivinROOF, which allows homeowners to insert glazed panels at preferred junctures in the roof to achieve an optimum light effect, while at the same time keeping them warm. The Livinroof includes a ceiling pelmet that’s filled with mineral wool insulation. The ceiling can be vaulted or suspended, depending on your requirements, and speakers and lighting can be affixed to it if you want to further enhance the room like feel of your gable conservatory. 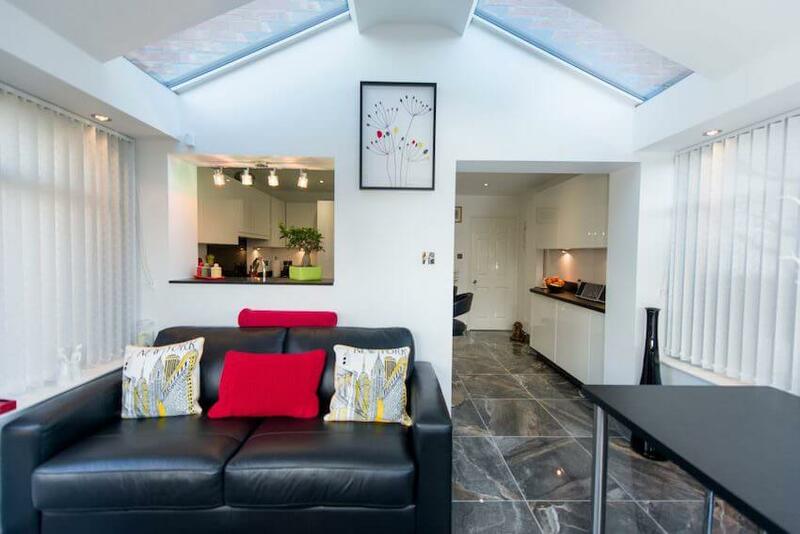 Would you prefer windows in your conservatory roof instead of glass? 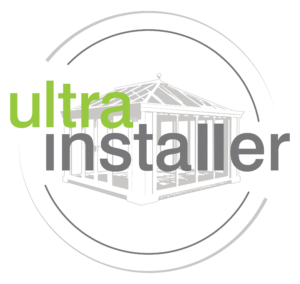 Then you’ll want to ask about Ultraframe’s high-performing UltraROOF. Instead of glazed sections, you can ask us to install Velux windows that will still let in lots of light but provide you with more privacy. The glass used in Ultraframe roofs blocks out most solar rays. Your gable conservatory won’t get too hot in the summer, but will keep you comfortable in autumn and winter. Your new gable conservatory will be a space you can use relax in throughout the year. As with the Livinroof, an internal ceiling pelmet will be included. It will be of a vaulted design to create a sense of space in your gable conservatory and plastered, which means your new room will also feel extremely comfortable and be somewhere you can relax in. Whether you choose the Livinroof or Ultraroof system for your gable conservatory, you’ll experience the same benefits. That’s because Conservaglass – a high-performing type of glazing – is used in all Ultraframe conservatory products as standard. How does Conservaglass work? It prevents most UV rays from penetrating and stops heat from escaping outside too. Your gable conservatory will always be the perfect temperature, thanks to the inclusion of thermally efficient glazing in its design. Conservaglass is also self-cleaning. It burns off unwanted debris – like twigs and mud – which then wash away when it rains. You won’t have to worry about the upkeep of your new gable conservatory and can devote your time to other pursuits instead. Commonly known as the sunburst or rising sun design, the gable conservatory roof provides a stunning and elegant appearance from the inside and out thanks to the high apex. The style mirrors that of opulent orangeries and original conservatories of the Georgian era. If you would like to have a conservatory that blends seamlessly into your existing property and give the appearance of a costly extension but at the price of a conservatory, then consider incorporating additional brickwork into the design. There is a whole range of conservatory colours and finishes that you can choose from to make the perfect gable end conservatory that’s right for your home. White is the most popular and cost-effective colour option but there are plenty of other options. These include Light Oak, Mahogany, Woodgrain or Rosewood. You could also opt for coloured foils such as Fir Green, Sage Green, Irish Oak or Black. We’ve got something for everyone. You may also wish to consider a bespoke glazing option, such as Georgian bars, leaded squares or leaded diamonds. The type of glazing you choose could determine the level of energy efficiency you receive. The higher the Window Energy Rating the greater the thermal efficiency of your new conservatory. Locking in the warmth from your central heating will be beneficial if you plan on using your conservatory during the winter months. Are you ready to find out more about our beautiful gable conservatories? Select Products is a member of FENSA and works with the UK’s best manufacturers. Our double-glazing products have been designed with longevity and your security in mind, so you’ll be able to buy from us with absolute confidence. Calculate your instant online quote for gable conservatories in Leeds and discover how much you could be saving on your latest home improvement from Select Products. It is understandable that the cost of your new gable end conservatory will differ depending on the size, design features and specification. 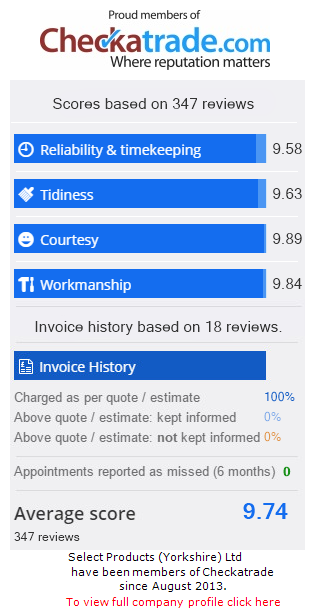 You’ll be able to see an estimate from our quoting engine based on the information you enter. It’s quick and easy to use – all you need to do is select your conservatory style, enter your postcode and design options and you’ll see your online quote in minutes. You can use our quoting tool as many times as you like.